The main candidate is the new L-39NG, but also the Italian M-345 could be a good choice. Thailand looks at a new trainer jet. Czech Prime Minister Andrej Babis announced on 10 November that the Thai Ministry of Defence (MoD) has expressed interest in acquiring an undisclosed number of Aero Vodochody L-39NG jet trainers/light-attack aircraft, Jane's 360 said. Babis plans to visit Thailand in January 2019 to discuss the potential sale. According to Jane’s World Air Forces , the Royal Thai Air Force (RTAF) currently operates 24 L-39ZA Albatros aircraft, some of which are being replaced by 12 Korea Aerospace Industries (KAI) T-50TH Golden Eagle lead-in fighter trainers (LIFT) ordered in 2015. The KAI T-50 may be comparable to the Leonardo M-346, considering that both aircraft met the requirements of the USAF T-X program, while the L-39NG could be similar to the new Leonardo M-345. The L-39NG is powered by the Williams International FJ44-4M engine and features a modern cockpit as well as the M-345. The M-345 / T-50 combination could also be an excellent training solution. 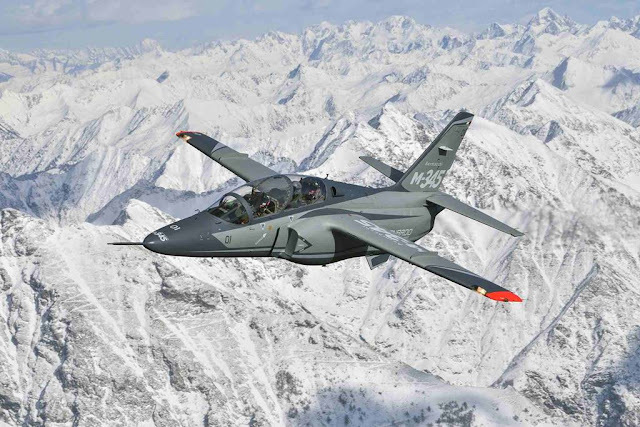 The Italian Air Force has already chosen the M-345 to be integrated with its current T-346A (M-346) fleet to train home and foreign pilots designated to fifth-generation fighter jets. The RTAF needs to prepare pilots for its Gripen and F-16 jets.